Government data last week had New Zealand's economic growth at 0.5% for the first three months of the year, a figure well short of the 0.9% forecast by the central bank. While some economists thought the bank would extend its neutral bias forecast in the August 10 statement, Mr Wheeler said economic growth was expected to pick up over coming months. According to Wheeler, economic expansion is slower than anticipated due to weaker export volumes and residential building work, with long-term growth still supported by strong net migration, low interest rates, and spending. According to the report: "GDP in the March quarter was lower than expected, adding to the softening in growth observed at the end of 2016. Growth is expected to improve going forward, supported by accommodative monetary policy, strong population growth, an elevated terms of trade, and the fiscal stimulus outlined in Budget 2017... Recent changes announced in Budget 2017 should support the outlook for growth... Monetary policy will remain accommodative for a considerable period. Numerous uncertainties remain and policy may need to adjust accordingly." 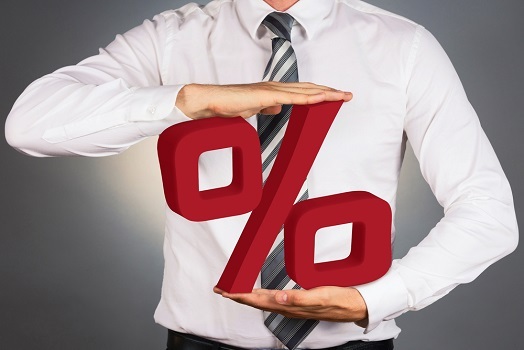 Even though the cash rate announcement was widely anticipated by the markets, the central bank surprised many by not extending it's long-term position on the back of weak growth and inflation figures. A projection supplied by the bank still points to rate increases from 2018 or 2019, which is the same timeline published back in May. This unchanged forecast seems especially surprising given that the medium-term outlook for inflation has being lowered, with the Reserve Bank now projecting that headline inflation will fall below 1% in 2018 before picking up to about 2%. While there was an increase in headline inflation in the March quarter due to higher petrol and food prices, according to Wheeler, the long-term outlook for tradables inflation is weak and house price inflation is slowing down due to loan-to-value lending restrictions. "The increase in headline inflation in the March quarter was mainly due to higher tradables inflation" said Wheeler, adding "These effects are temporary and may lead to some variability in headline inflation... A lower New Zealand dollar would help rebalance the growth outlook towards the tradables sector." Some economists continue to push out the time frame for expected interest rate rises in New Zealand, with ANZ saying the prevailing global and domestic forces "could mean the OCR is on hold indefinitely".